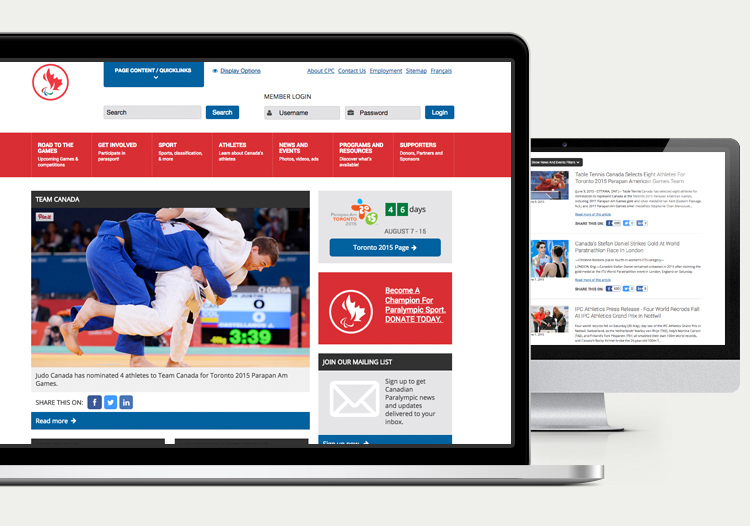 Industrial had previously worked with the Canadian Paralympic Committee to design and build their Paralympic.ca website. Attention was paid to accessibility at the time, but as assisted technology improves over time, there is always a need to refresh and improve your web presence. 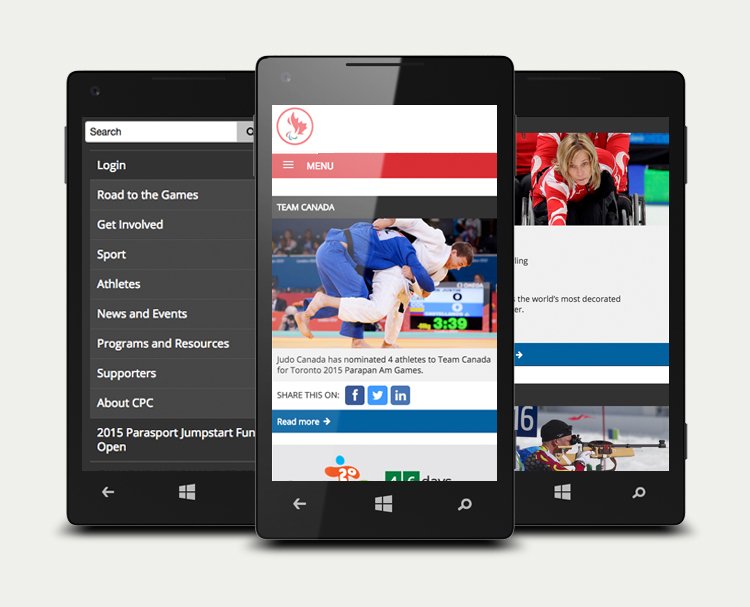 To enforce their commitment to web accessibility standards, the Canadian Paralympic Committee commissioned an independent accessibility study to identify areas of improvement in their website. The results identified key areas where improvement could be made, including the addition of alt text where missing, better colour contrast, and improved structuring of tables. In early 2015, Industrial began a project to identify solutions to the accessibility improvements posed and to execute on this plan. As assisted technologies develop and improve, new and exciting standards make their way into the digital space. One of these is the Accessible Rich Internet Applications (ARIA) tag. The ARIA tag is a way for websites and web applications to better communicate with screen readers to help them navigate the website more effecively. 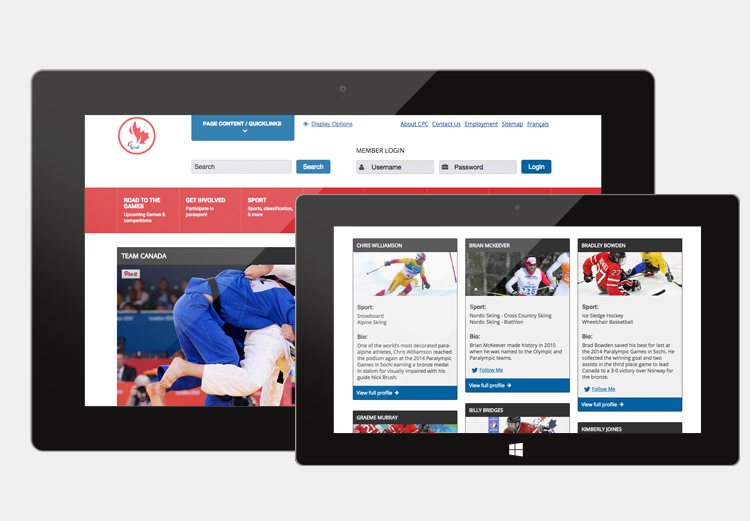 Within the Paralympic.ca website, Industrial leveraged the AREA-LABEL tag to identify the purpose of site ineractions for screen readers, when it was not clear without a visual aid. Another often-neglected element of accessibility that Industrial improved upon is colour contrast. Several areas were identified where the website was not meeting contrast ratio guidelines, a very important consideration for colour-blind users. Industrial built out an accessible colour palette for the Paralympic.ca website and modified the colour scheme to meet web guidelines. A final area of improvement that Industrial was able to build on was in the primary navigation menu. The drop-down nature of the menu was initially difficult for users to navigate using keyboard tabbing and/or screen reading system. Industrial leveraged a new, open-source framework for building drop down menus. Using and improving upon this system, Industrial was able to build out a fully accessible drop down menu for the on-site navigation. When the project began, the Canadian Paralympic Committee wanted to ensure that all of the targeted accessibility improvements could be completed prior to the Parapan Am Games, which are being held this summer in Toronto. Industrial was able to work quickly and delivered the project ahead of schedule and on budget. Accessibility is a cornerstone of the CPC web environment and Industrial prides itself on being able to deliver solutions that meet and exceed accessibility requirements. As technologies evolve to make navigating the online experience better for visually impaired users, Industrial continues to grow their knowledge in this area and improve the solutions we deliver. The Canadian Paralympic Committee is a non-profit, private organization with 25 member sports organizations dedicated to strengthening the Paralympic Movement.